It may have inspired a throng of gag games, but Farming Simulator 17 remains just about as serious as simulations come. Take the new addition of pigs: you need to pork them up with a balanced diet, keep them tidy, ensure that they have ample bedding and water, and only then will you reap the returns from your sows. It's hard labour of the kind that Job Simulator could only imagine – and yet, it's strangely compelling. This year's edition doesn't re-write the agricultural rule book – it just sprinkles fertiliser on the franchise's already well-established foundations. Surprisingly strong sales numbers of previous editions have augmented Giants Software with a much bigger development budget, and while all of the Eurojank that made past entries so compelling is still very much present, this feels like a blossoming package all around. 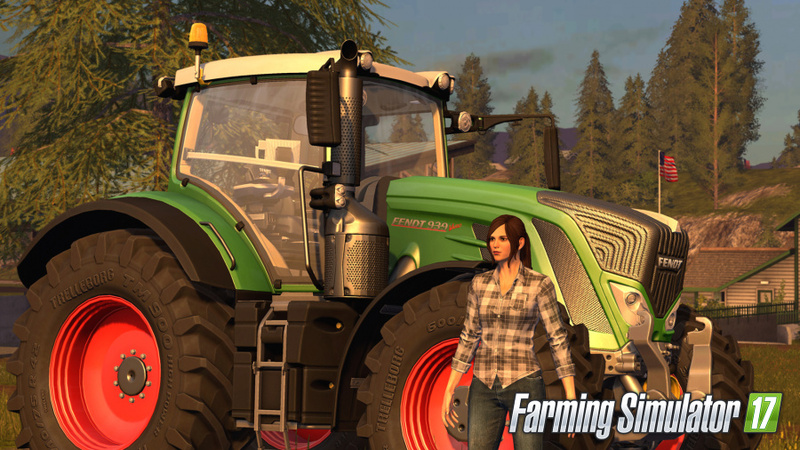 The visuals, for starters, are several hectares ahead of Farming Simulator 15, with an all-new lighting model adding real mood to the title's two primary locales. Working through the evening only for the sun to rise on a misty morning will make you feel all Wuthering Heights, while lashing rain as you attempt to transport your cargo to the nearest silo adds atmosphere to the occasion. It's no Uncharted 4, but it finally looks good. The core gameplay loop is an acquired taste, but is also entertaining. Playable solo or online in co-op, you start out with a handful of fields to tend, a big bank loan, and the most rudimentary of equipment. Your objective is to build up your farm until you're bringing in the big bucks, allowing you to invest in even better gear which will make your life easier. A stable of different licensed utensils means that there's an absolute wealth of goods for you to purchase. And for the first time, this is all extendable through the introduction of mods. At the time of writing, only the developer has uploaded downloadable add-ons, but the hope is that this area will, eventually, be furnished with apparatus from the game's wider community. While these do threaten to potentially break the release's economy – which, thus far, seems much less exploitable than its predecessors – it'll always be down to the individual whether they want to take advantage of them. Fortunately, the integration is seamless. There is a file-size limit in place, but downloading mods is straightforward, and there are a ton of sorting options on offer. 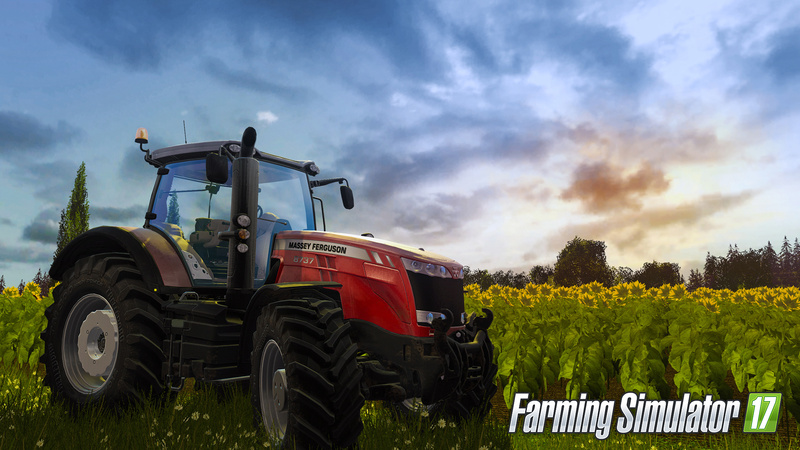 Whether you're looking for a new harvester or entire new maps, the hope is that this game is going to grow like a batch of freshly sewn canola. That's not to say that the content on the disc is lacking in any way shape or form, though: this is the most complete Farming Simulator yet. And the new inclusions span everything from the ability to play as Mrs. MacDonald right the way through to the addition of new crops like sunflowers and soybeans. You also now have the option to drive trains, which don't add to your daily vehicle maintenance bill, but do enable you to get wood logs and cargo around the small sandbox areas fast. It's not exactly a game-changing addition, but veterans will enjoy choo-chooing their way through the locales at break-neck speeds. As already alluded, there are two environments in the game: a rural American village outfitted with diners and doughnut shops, as well as a thoroughly depressing Russian settlement, replete with grey breezeblock buildings and unkempt industrial structures. Both have a different flavour, though the core gameplay doesn't really change; it's all about maximising your time and outwitting the economy in order to turn a profit. 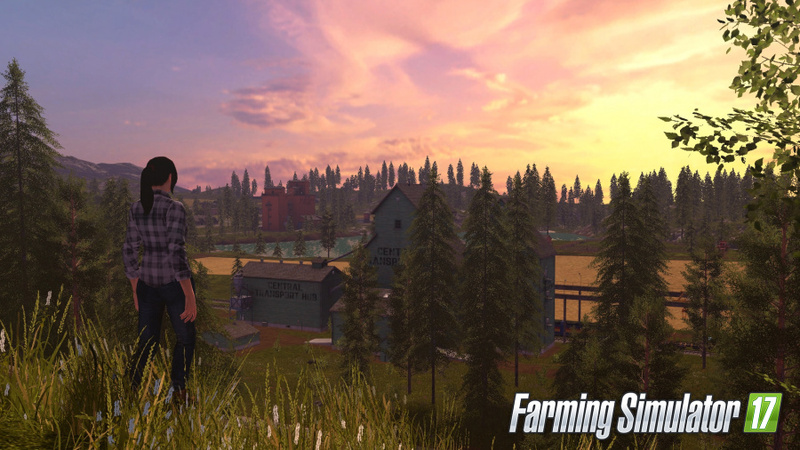 Contrary to common opinion, Farming Simulator's always had the root of a great game buried beneath its Eurojank surface, but now that nugget's really starting to blossom. This edition doesn't reinvent the veal [Sorry – Ed], but it refines what's enjoyable about the originals, and sprinkles some Miracle-Gro on top. It's still an acquired taste, and you're going to need to be patient to get the most out of it, but if you've ever dreamed of being an agricultural extraordinaire, then this is a series now very much in its hay-day. Great review, did you pull the short straw again Sammy? How long would you say the average game takes? @themcnoisy As long as you like really. 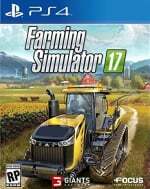 You can spend hundreds of hours building up one farm really. I want to try this, I really do, but can't bring myself to spend a single penny on it. Maybe one day! I have this morbid sense of curiosity that has always made me want to play one of these games yet I never have. I've actually seen that one of them is on PlayStation Now so I might give it a go when I've finished the game I'm on. Looks alright to try if it was free on PS Plus.